Road to Rico. 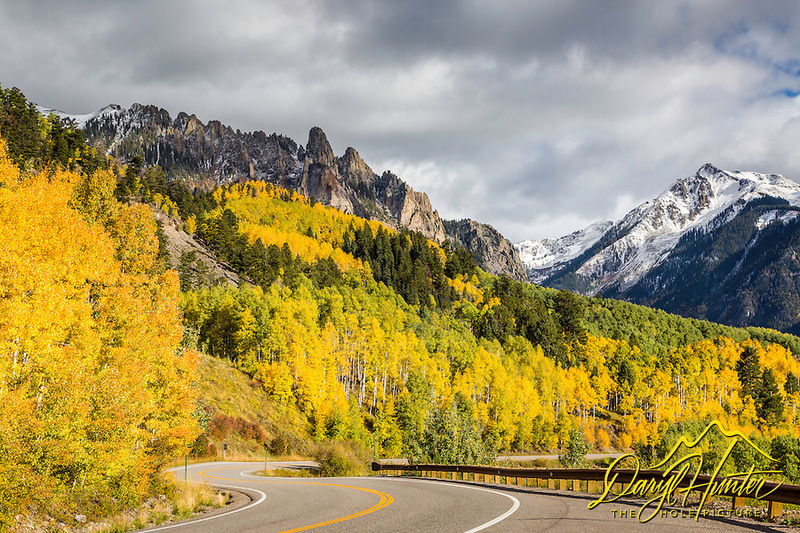 Highway 145 and view of snow covered Yellow Mountain with the Ophir Needles and Autumn Aspens in the Foreground. This is part of the San Juan Skyway, a scenic byway that snakes through the whole San Juan Mountain Range.